Foursquare, the location-based social network that lets you check in at different venues, has released an update with a new look and feel, and several cool features. Recommendations has always been at the core of what Foursquare is all about. Earlier this year, the Explore maps on Android enabled better discovery and the new update makes it a whole lot smarter. With Real-Time Recommendations, Foursquare will now tell you something great about the place you arrive at — a feature that was previously only on a few Android devices, but is now rolling out on iOS as well. It’s another great use of Foursquare data Check-In Much? 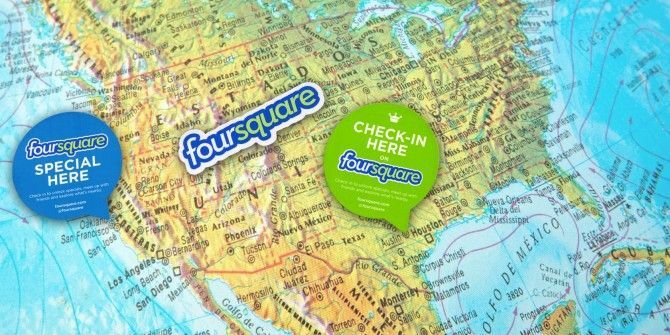 6 Interesting Uses For Your Foursquare Data Check-In Much? 6 Interesting Uses For Your Foursquare Data Foursquare is one of those apps that you either love or hate, and many feel it is just another part of the oversharing culture of our online Instagram, Facebook and Twitter lives, where everything we... Read More . Another new feature with the update is Right Now, which adds a ‘Nearby’ button to your app. Tap it and you will get a list of all your friends who are in your vicinity, letting you catch up easily. Of course, you could also check into events like always How to Check Into Events Using Foursquare How to Check Into Events Using Foursquare Just when you thought the location check-in apps were getting old, the top services go and revamp their products to make them more interesting. Gowalla has recently introduced travel guides and stories, breaking away from... Read More . Finally, Foursquare has reduced the clutter of having to see a single friend’s million check-ins at once and instead introduced ‘Friends at a glance’, which shows you only the most recent check-in, which you can tap on for more from that friend. You can grab the update from the Foursquare download page. Explore more about: Foursquare, Maps.